VRC is available 24 hours a day, 365 days a year, providing emergency medicine and critical care. VRC is available 24 hours a day, 365 days a year, providing emergency veterinary medicine and critical care to dogs and cats. We also offer overnight, weekend, and holiday care to avian and exotic animals. 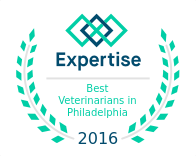 We work together and in partnership with your family veterinarian to quickly and accurately assess your pet’s medical condition and provide the safest, most effective treatment options available. Our team of emergency veterinarians has advanced training and experience, the latest technology, and seamless access to VRC’s full range of veterinary specialists. To view a list of Frequently Asked Questions regarding our 24/7 emergency services, click HERE. We offer comprehensive diagnostics and treatment for your pet’s respiratory disease, including interstitial lung disease, upper airway obstruction, collapsing trachea, laryngeal paralysis, brachycephalic airway disease, chronic bronchitis, asthma, pneumonia, pulmonary hypertension, and pleural space disease. Our advanced diagnostic modalities include bronchoscopy, fluoroscopy, thoracic ultrasound, and 16-slice helical computed tomography.